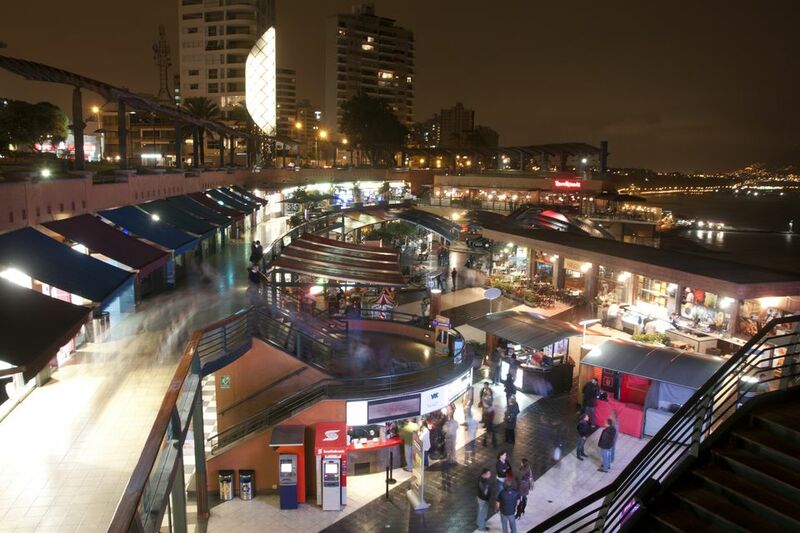 If you just can’t wait to see a newly released movie, or if you need a couple of hours to unwind after a month or so backpacking in Peru, you’ll find plenty of excellent cinemas and movie theaters in Lima. New movies normally arrive in Lima fairly soon after being released in the United States, but you can also see some great Latin and South American films as they premier at many theaters around the capital city of Peru. However, many of the blockbusters released in Lima are presented in both English and Spanish, especially animated movies and those meant for children. Before buying a ticket for an English-language movie, always check whether it's presented in its original English format with Spanish subtitles (subtitulado) or dubbed into Spanish (doblado). Ticket prices tend to be lowest at the beginning of the week (Monday to Wednesday) and more expensive from Friday to Sunday. Prices are typically also much lower than in the United States; you can usually buy a movie ticket for $3 to $6 unless the movie is in 3D, which will cost an extra dollar or two to see. Considering that Lima is the capital of Peru, it should come as no surprise that there are plenty of options for movie theaters and cinemas in the city, including some multi-national chains you may be familiar with from the United States. Below are some of the largest cinema chains in Lima (some of which also have cinemas in other major cities in Peru). Cinemark: There are a handful of Cinemark cinemas in Lima, as well as theaters in Trujillo, Arequipa, and Piura, all of which have multiple screens (including 3D). Cinemark Jockey Plaza is one of the best cinemas in Lima and located right next door to the University of Lima. Cine Planet: Although Cine Planet is a chain with 12 cinemas in Lima and 12 more outside the capital, standards are not always consistent between movie theaters, often reflecting the surrounding area's economic demographics. However, Cine Planet cinemas often take part in the annual Lima Film Festival in August. Cinerama: If you’re staying in Miraflores, then Cinerama “El Pacifico” is a handy option right near the upper corner of Parque Central (attached to Parque Kennedy). Other Cinerama theaters are located in Callao, Cajamarca, Ica, Tarapoto, and Chimbote. Cinestar: Various theaters in Lima, as well as in Iquitos, Chimbote, and Pucallpa. Generally considered good but not great in terms of seat comfort, service, and movie quality. UVK Multicines.com: There are a few UVK Multicines in Lima, but none more famous than the one located in the Larcomar shopping center. The trying-so-hard-to-be-trendy seafront shopping complex won’t appeal to all travelers' tastes, but the cinema is top class—and there’s bowling next door! While you can see both Peruvian and American films at many of the cinemas listed above year-round, the city of Lima also hosts several international and national film festivals throughout the year including Lima Independiente, TransCinema, and the Pontifical Catholic University of Peru (PUCP) Lima Film Festival. Lima Independiente (Independent) International Film Festival takes place in late May and early June each year. The festival features international, national, and subject-specific competitions as well as special projections, dialogs with filmmakers, and temporary exhibits honoring the art of cinema in Peru. For over 20 years, the PUCP Lima Film Festival (Festival de Cine De Lima) celebrates student, amateur, and professional film-making with eight days of movie, shorts, and animation screenings, college lectures, discussions with filmmakers, and even a few workshops for filmmaking. In late November to early December each, TransCinema Festival Internacional de Cine showcases the best in independent filmmaking from around the world with a special focus on Peruvian and South American productions as well as an international film competition.